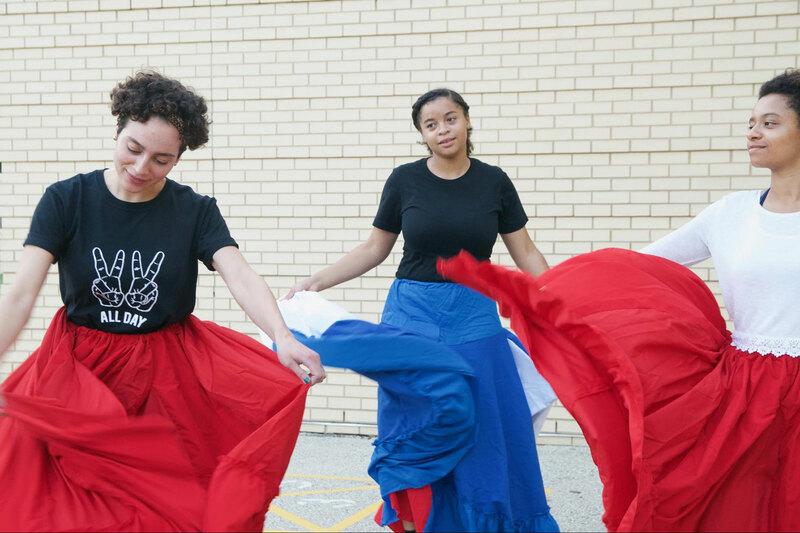 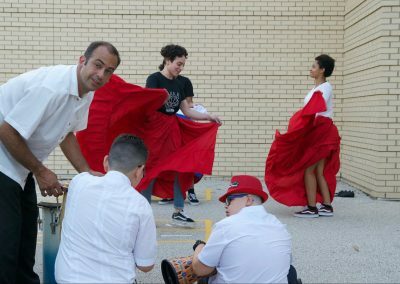 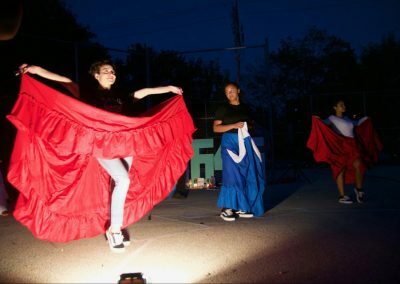 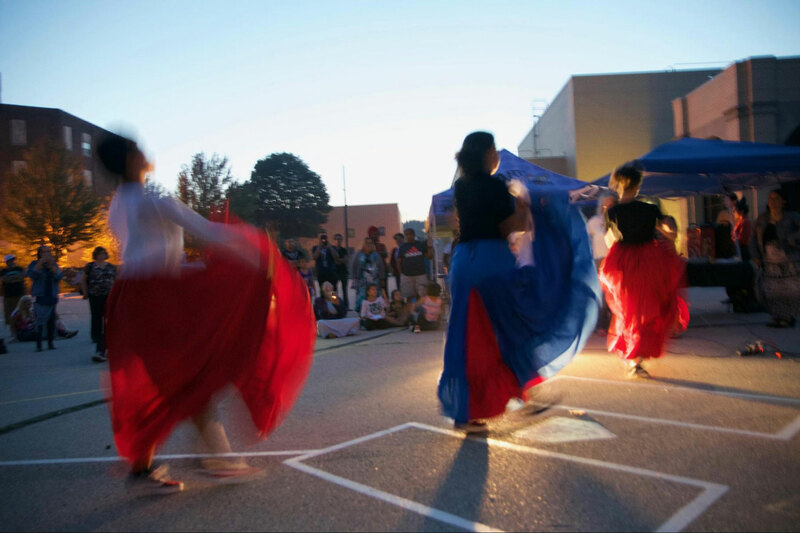 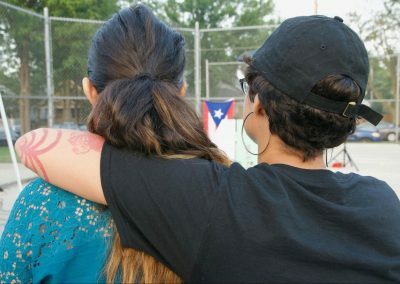 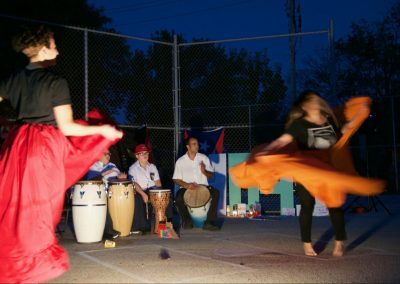 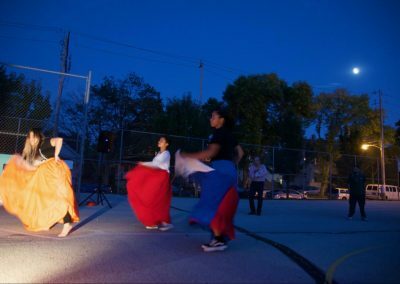 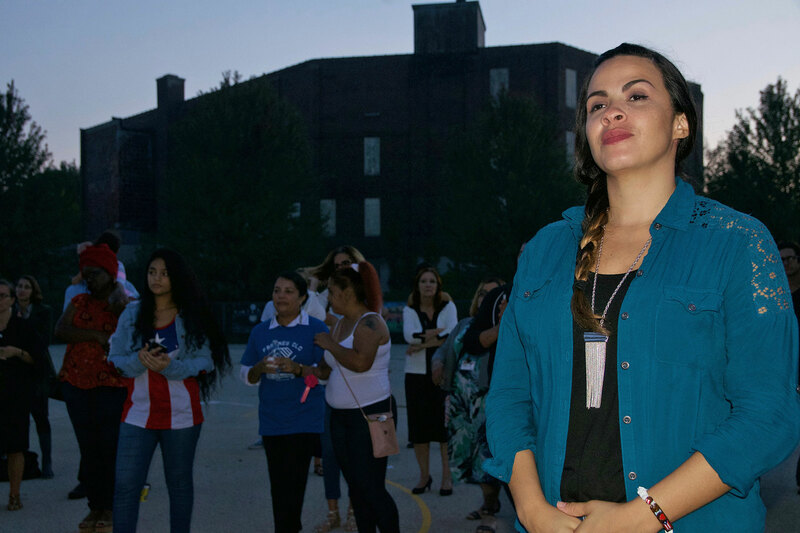 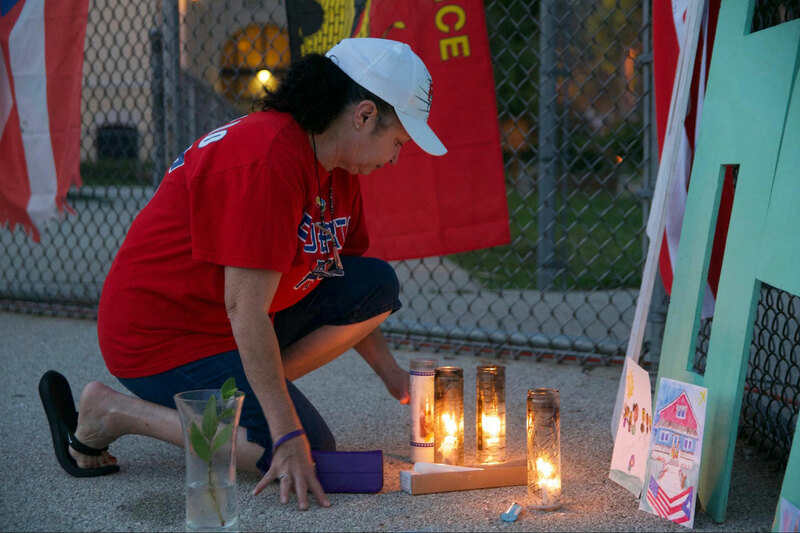 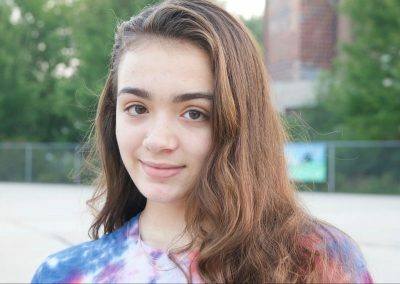 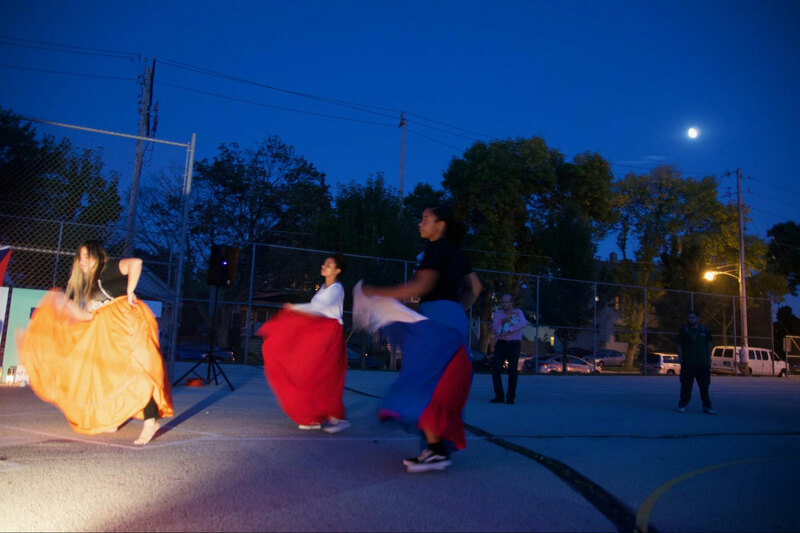 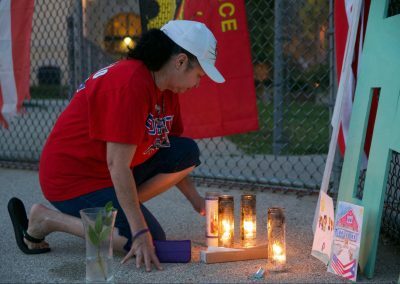 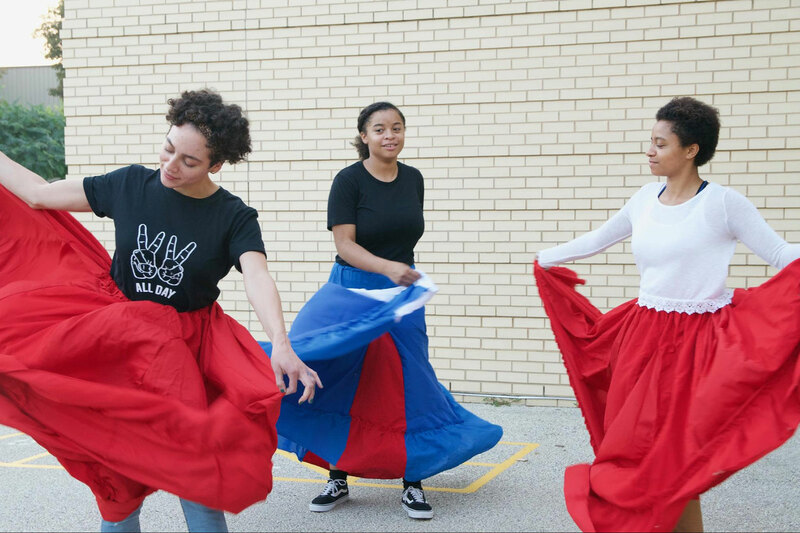 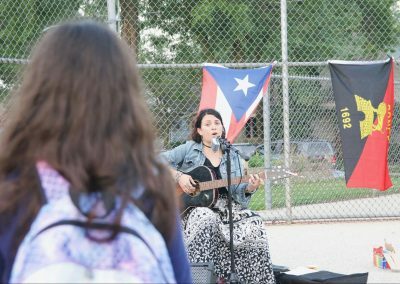 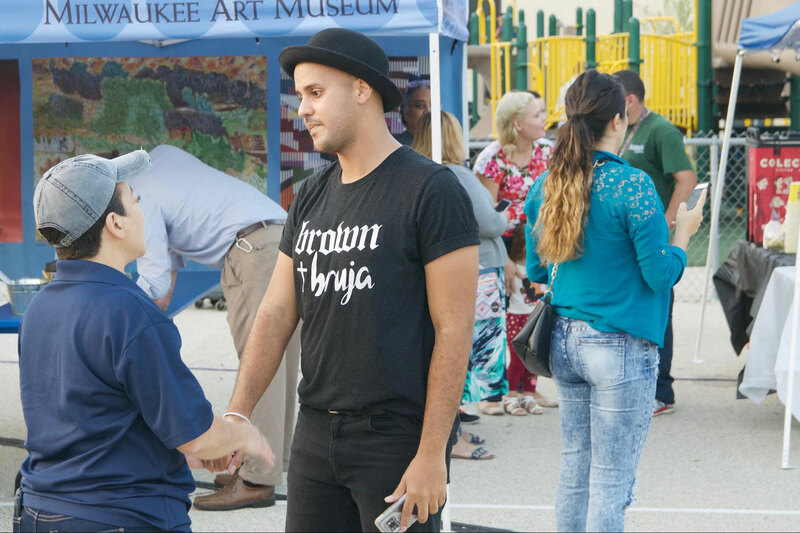 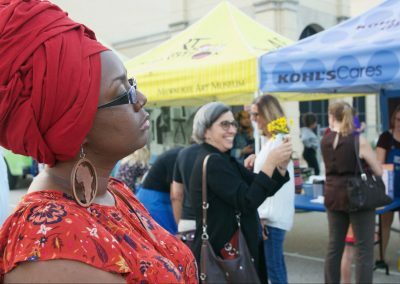 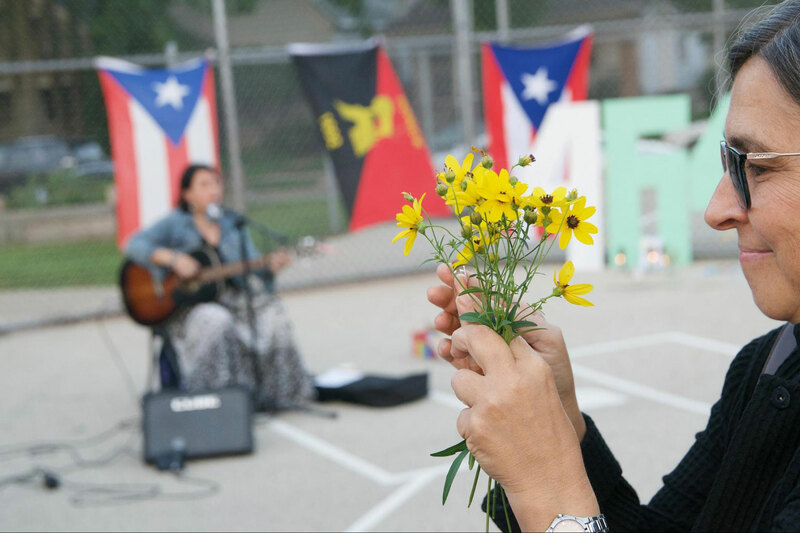 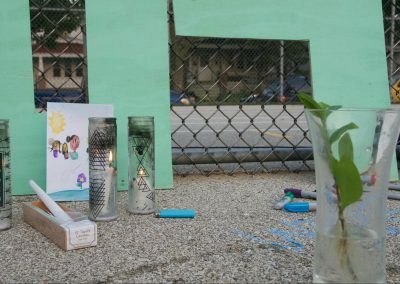 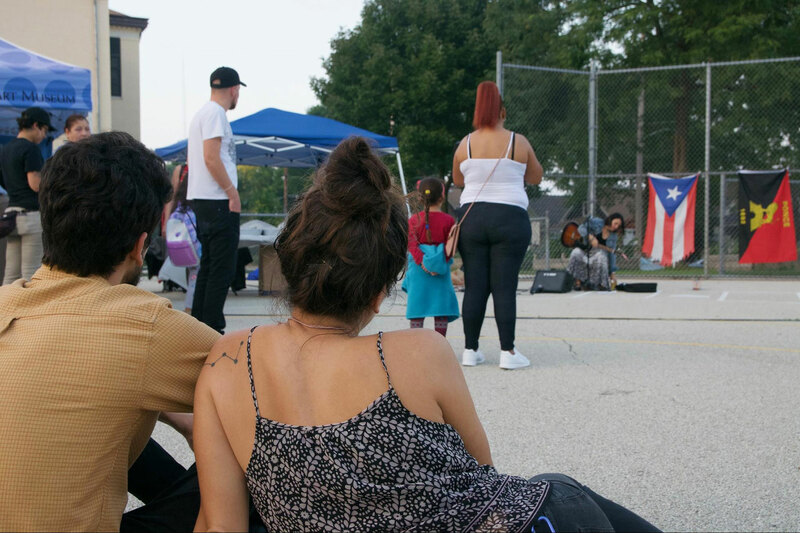 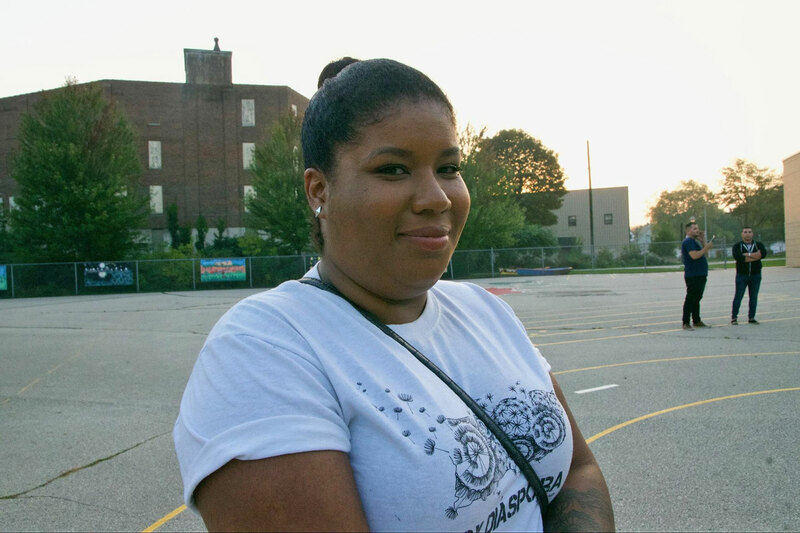 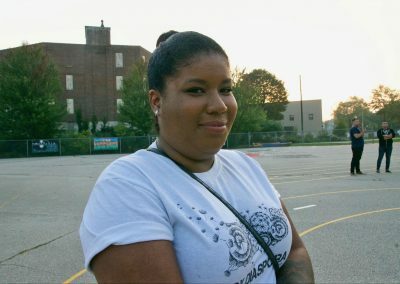 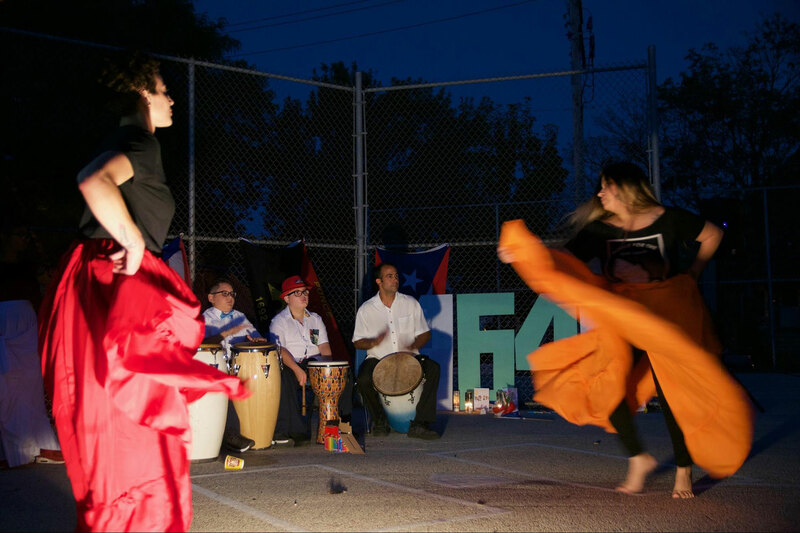 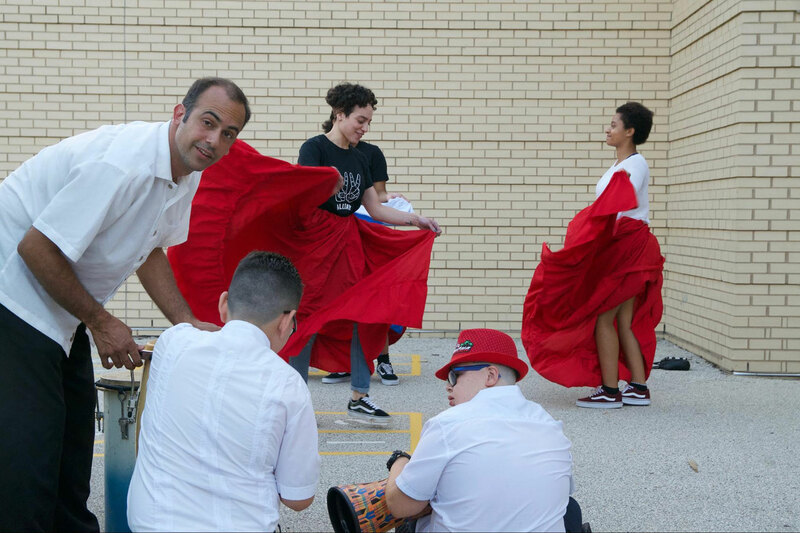 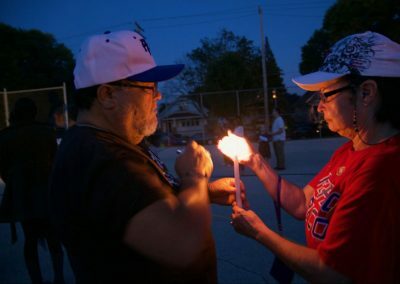 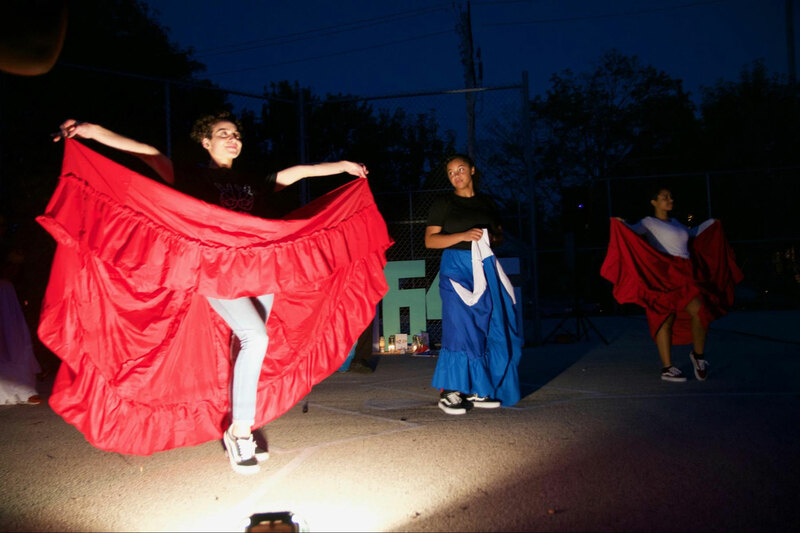 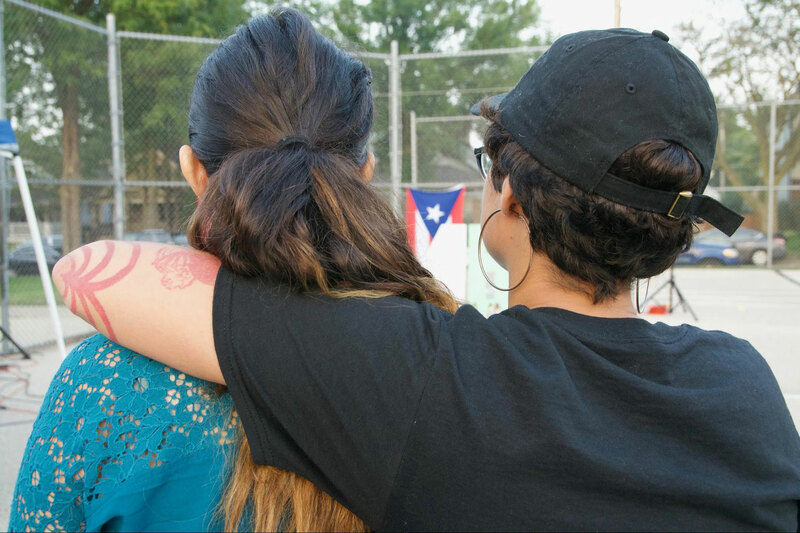 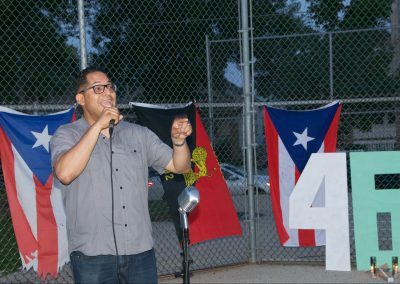 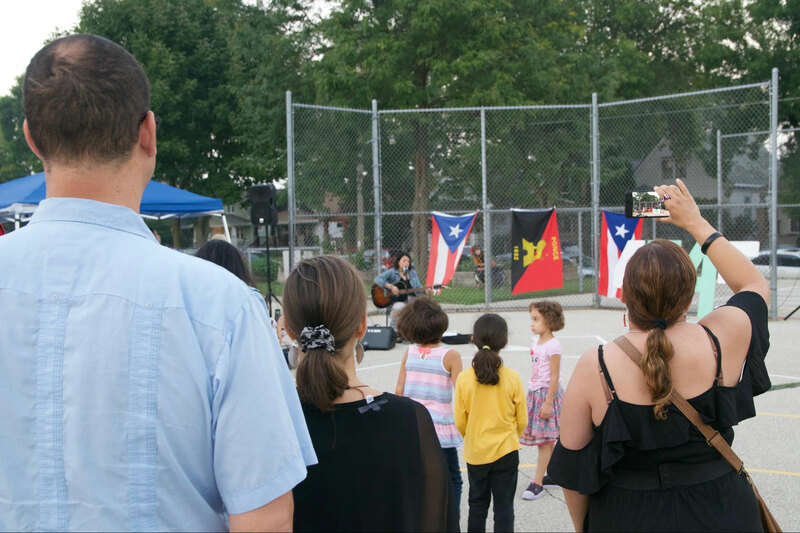 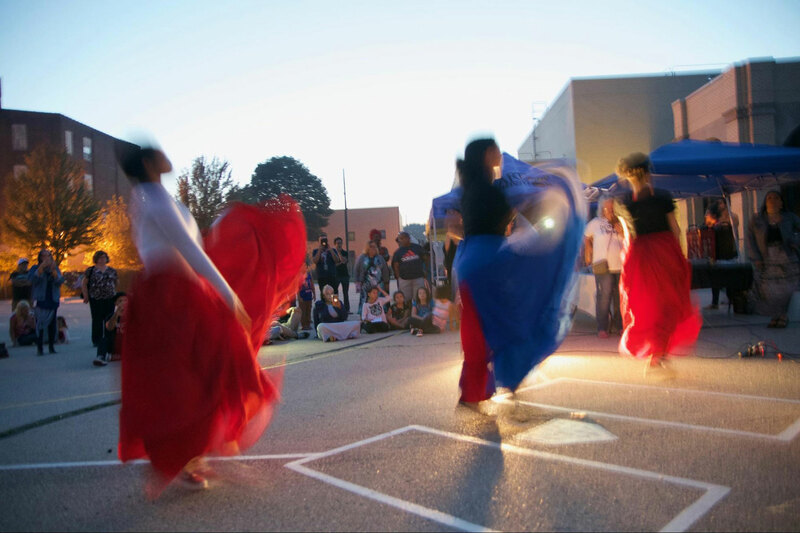 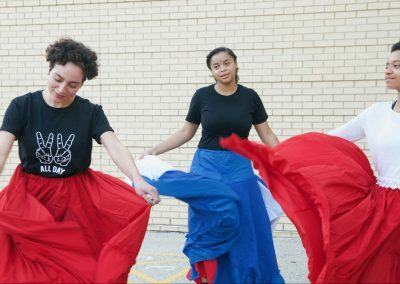 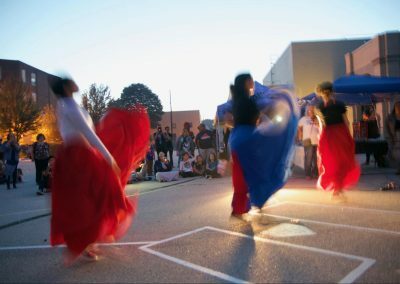 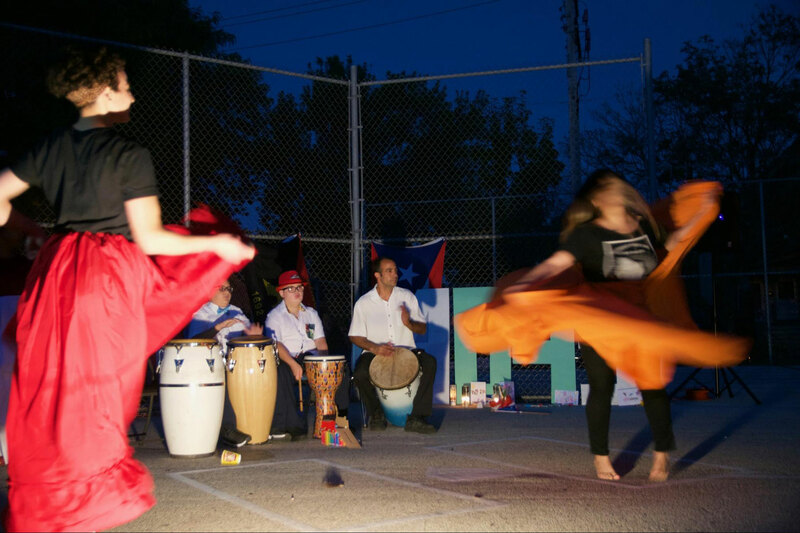 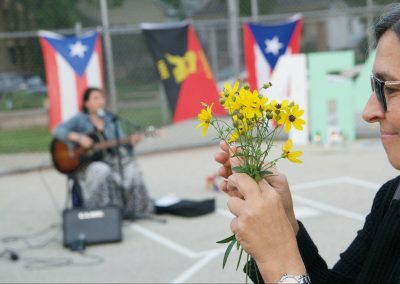 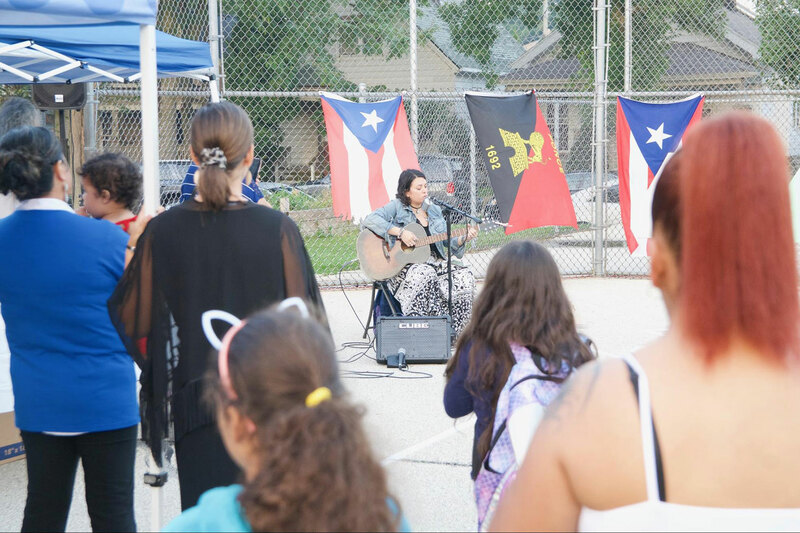 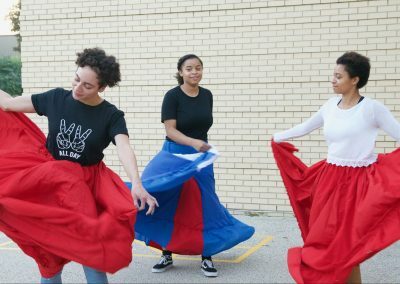 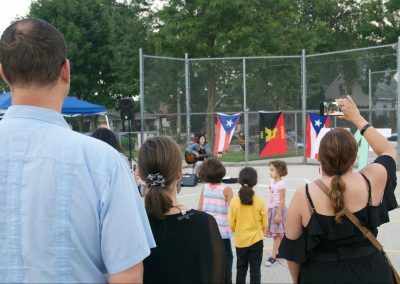 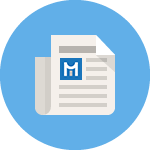 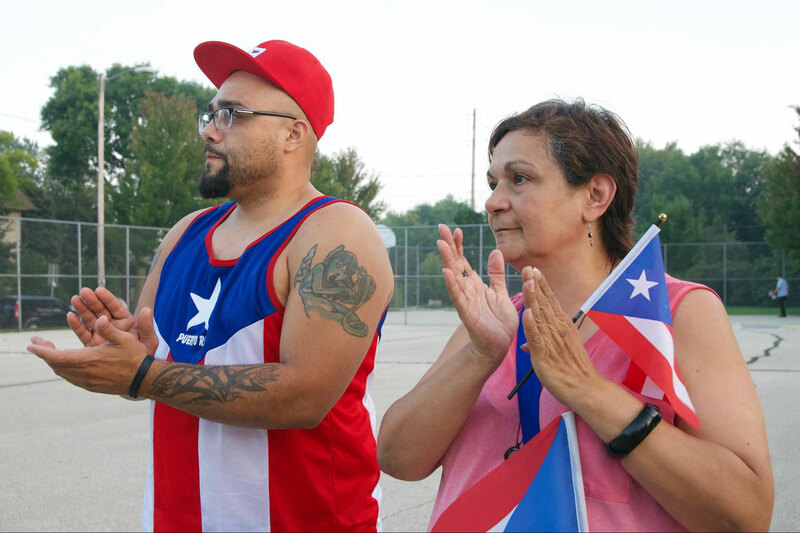 On September 20, the Puerto Rican community and its allies in Milwaukee gathered to remember and honor the victims – dead and alive – of Hurricane Maria. 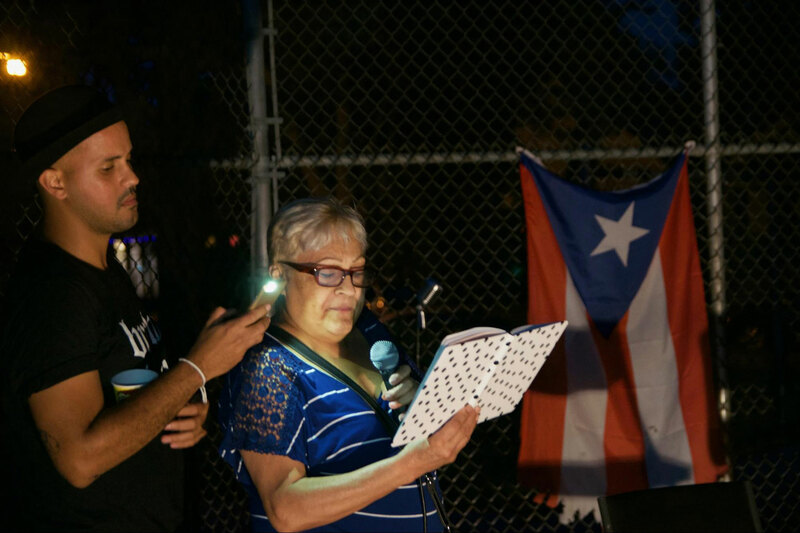 La Vigilia: A Vigil for Puerto Rico was attended by about eighty residents and marked the one-year anniversary of the Category 4 hurricane that roared across Puerto Rico at 155 mph, devastating the territory that had been ravaged by Hurricane Irma just a year before. 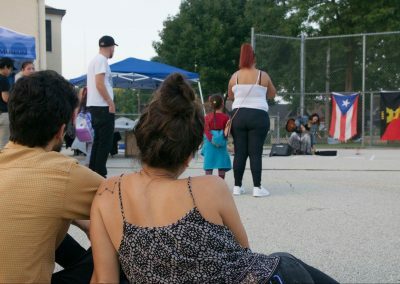 Organizers Erick Ledesma of Cosecha Creative Space and Leilani Lopez-Blasini of Be Outspoken MKE wanted to bring attention to the continued crisis on the island and the condition of the Puerto Rican people through first-hand accounts and stories about family members, as well as music, dance and a memorial, set-up in front of the backstop in the playground at La Escuela Fratney in Riverwest. 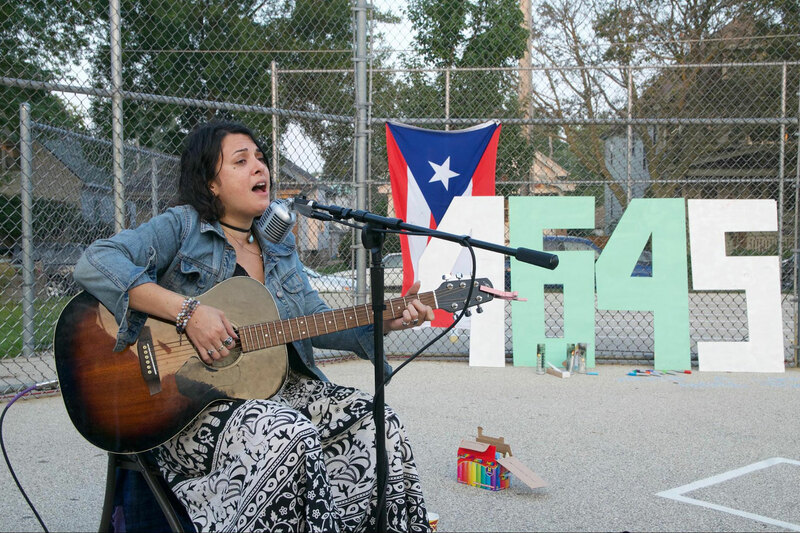 Guitarist and singer Jen Cintrón opened the vigil with poignant songs about Puerto Rico and the aftermath of the hurricane in the lives of islanders and the diaspora community on the mainland. 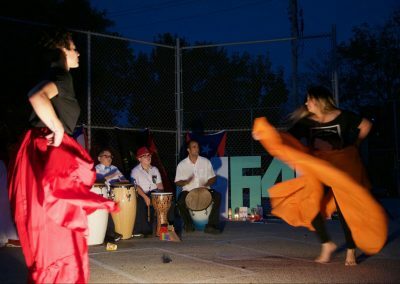 Cintrón’s plaintive songs were later juxtaposed with the anger and resistance expressed by the bailes de bombas when drummers Julio Pabón, John Carlos Román Areizaga and Ethan Rivera beat their barriles to match the sometimes fluid, sometimes insistent improvised gestures of dancers Nicole Acosta – in a fiery orange dress – and Stephanie Blasini, Amari Blasini, JC Haliburton and Tatyanna Melendez – in red, white, and blue – in a traditional blending of African, Spanish, and indigenous Taíno styles. 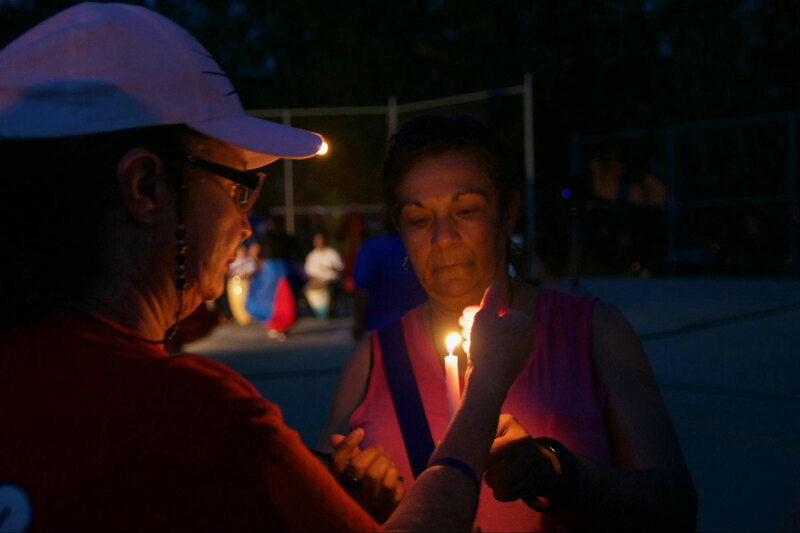 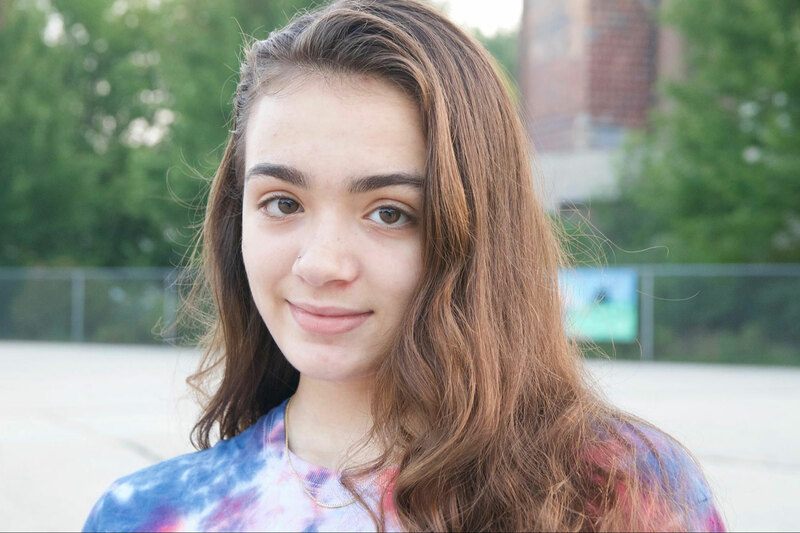 When the dancing had finished, Acosta lit a candle, passed the flame to one of her dancers, and the passing of the flame continued to the rest of the vigilists. 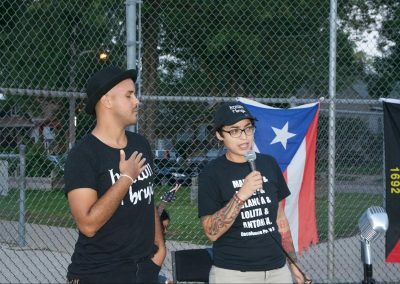 When asked who funded the vigil, Lopez-Blasini remarked, “We did!” They were not without the help of the community, of course. 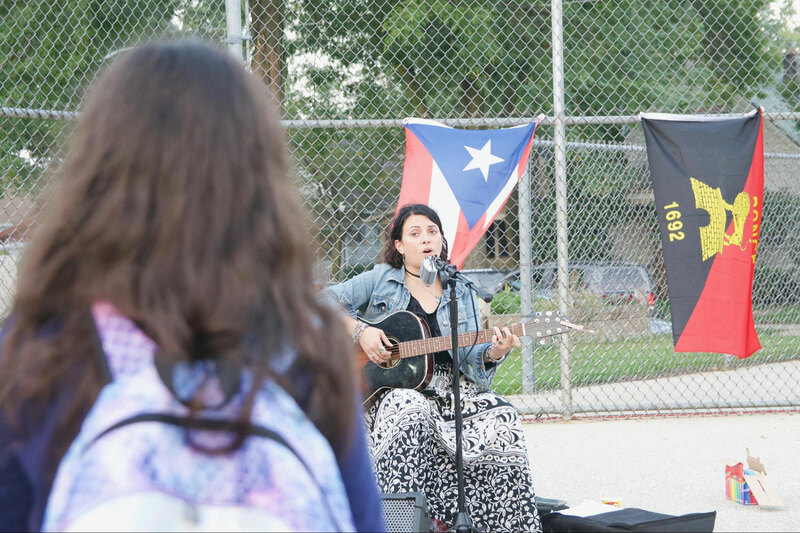 Ellie Jackson brought coffee, Cheston Vanhuss provided sound, and Caitlin Cullen of The Tandem provided cornbread. 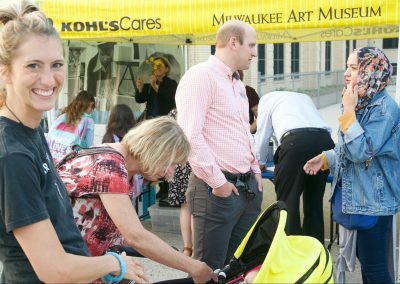 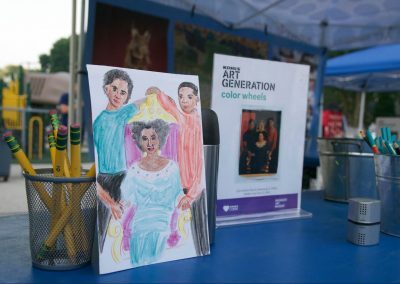 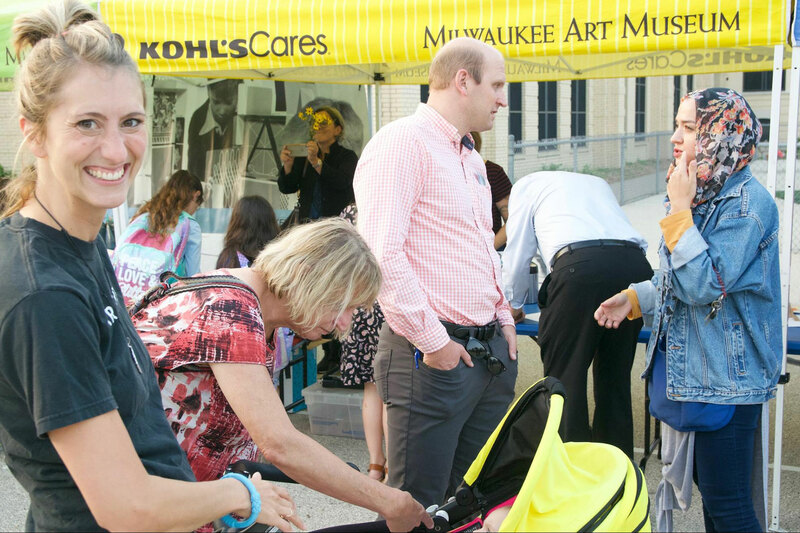 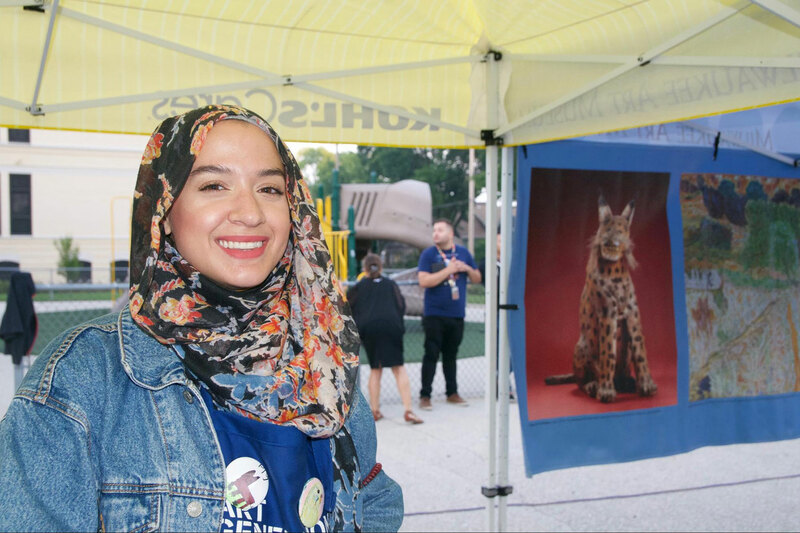 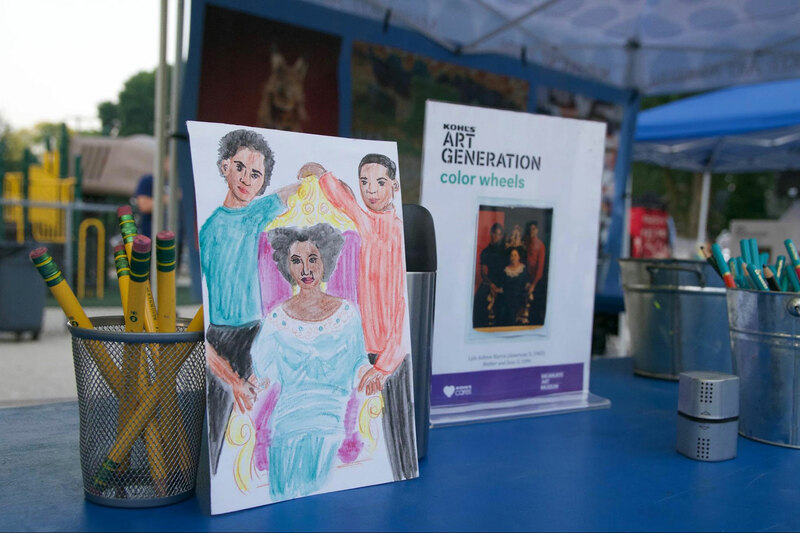 The Milwaukee Art Museum’s Kohl’s Color Wheels was on hand, too, represented by Liala Amin and Jessica Baumann. 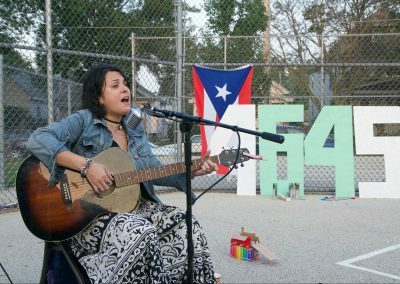 They invited participants to depict their family or what family means to them and to display their drawings near the memorial, which featured four tall numbers (4, 6, 4, and 5) that represented the number of excess deaths (4,645) in Puerto Rico between landfall and the end of 2017, as predicted by the now controversial Harvard T.H. 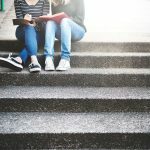 Chan School of Public Health study. 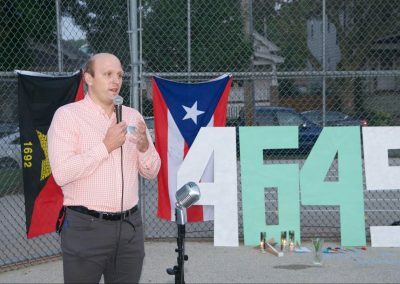 The “64” in the middle represented the Puerto Rican government’s original December 2017 estimate. 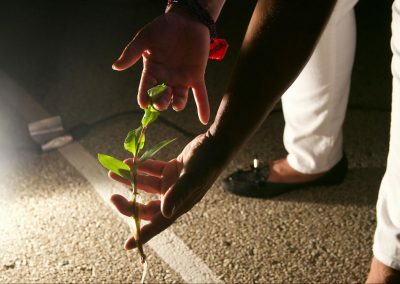 While the death toll numbers continue to be debated and verified, the reality is that tens of thousands of homes still only have blue FEMA tarps for roofs, one-third of the over million applicants for FEMA grants were denied, the power system, though mostly restored, remains vulnerable and in need of a complete overhaul and the negligent, inexcusably slow path of aid and accountability has caused people to perish, not just from the storm itself but from the lack of food, water, and medicine. 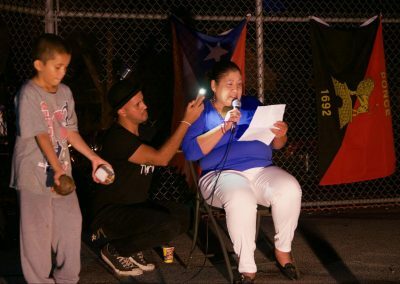 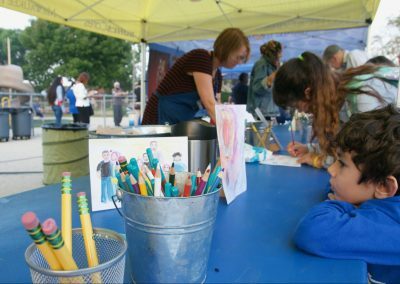 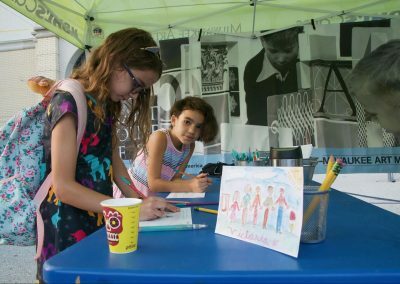 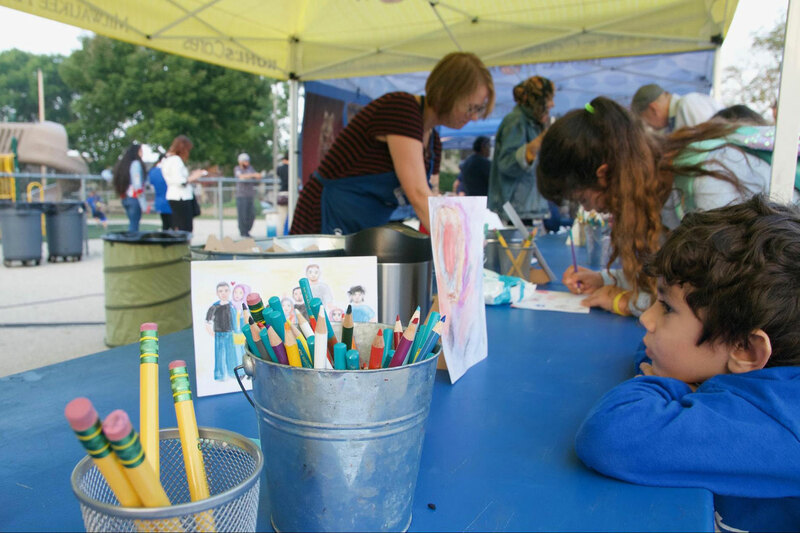 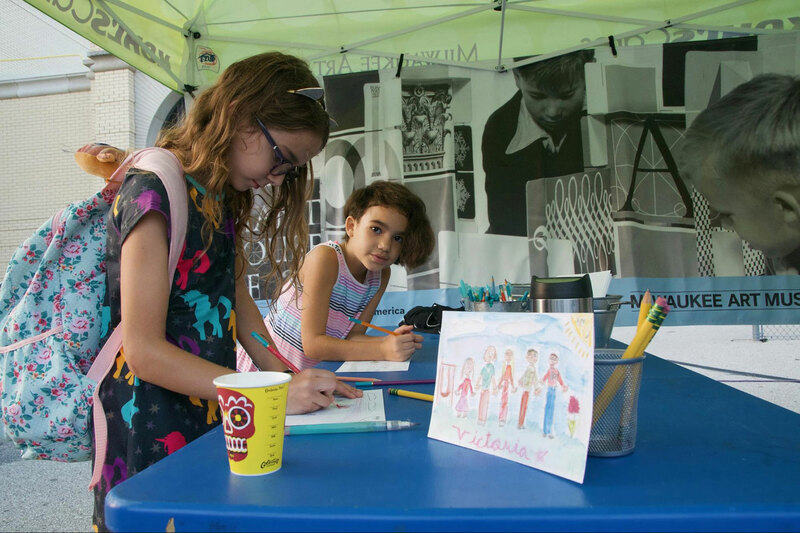 In between the music and while children and adults drew pictures of their families and added words of sadness and hope to the number signs, various speakers expressed their support for the Puerto Rican people, their frustration with the United States government for its lack of action, and both sadness and hope for those on the island still living under so many blue tarps. 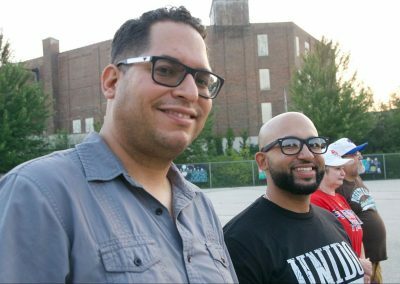 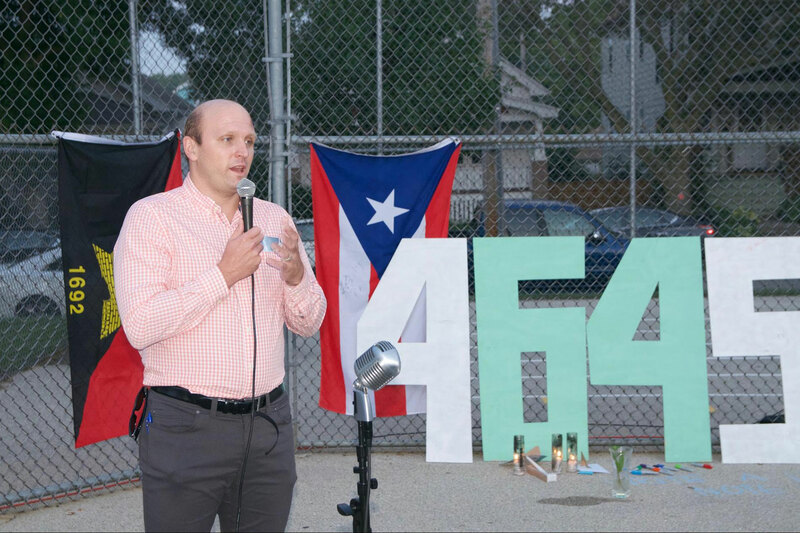 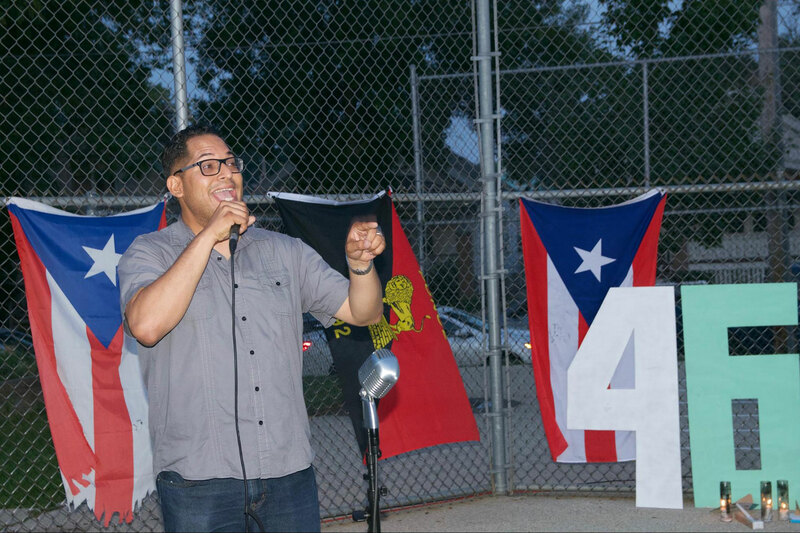 Alderman Nik Kovac and David Muhammad, the Program Manager for the the City of Milwaukee Office of Violence Prevention, offered their support and alliance with the mission of the vigil, which was not only awareness but a call-to-action to use our voices and power to demand justice for Puerto Rico. 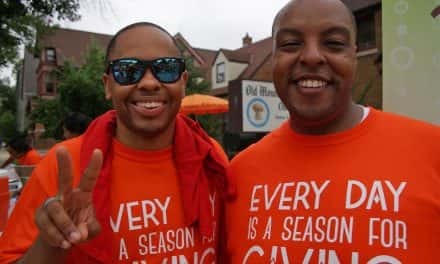 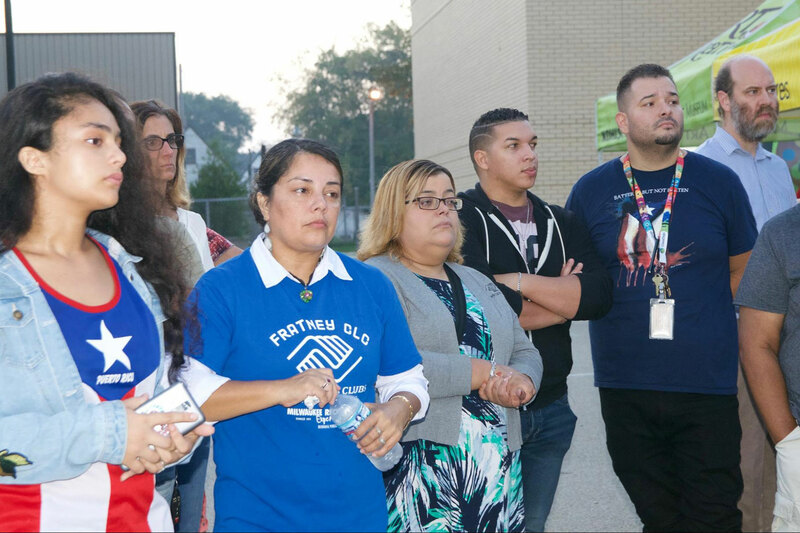 And Beny Perez Reyes, Vice President of PNC Bank in Oak Creek, and Paola Felix Encarnación, Impact Director for City Year, added their voices to the vigil. 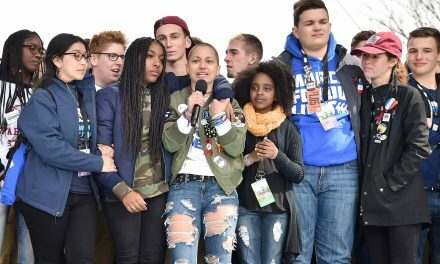 None of these individuals, it should be noted, were present as representatives of their professions. 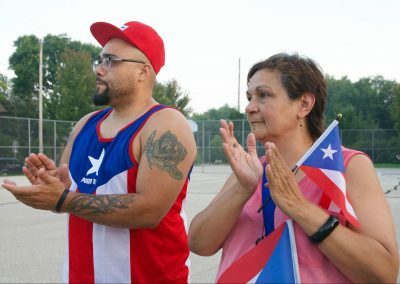 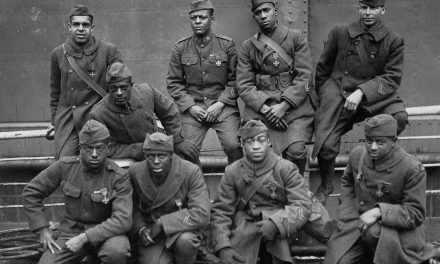 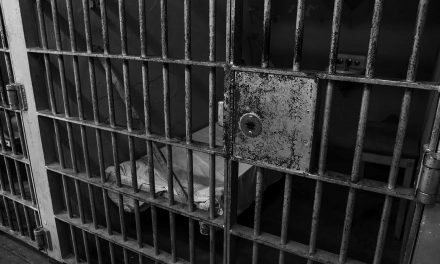 Instead, they wanted to be introduced first and foremost as boricuas, or Puerto Ricans. 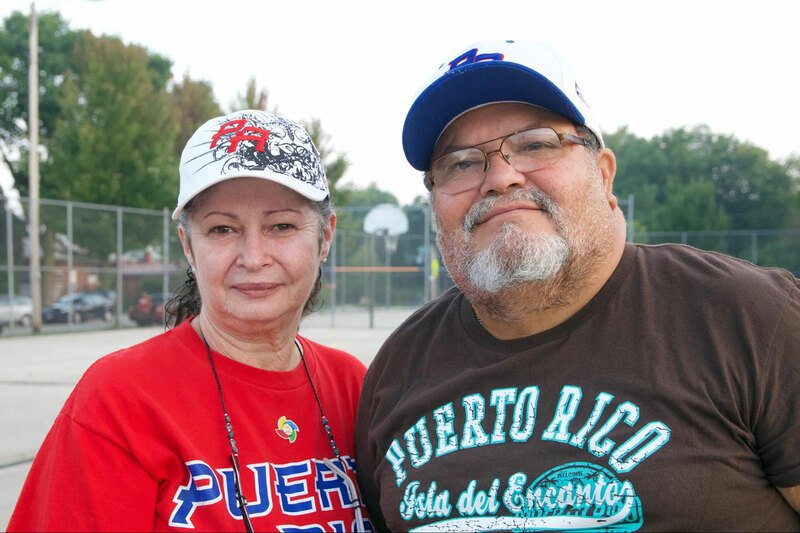 Principal and Parent Coordinator of La Escuela Fratney, Jessica Quindel and Lisbel Torres, added their support as educators of Puerto Rican children and hosts of the event. 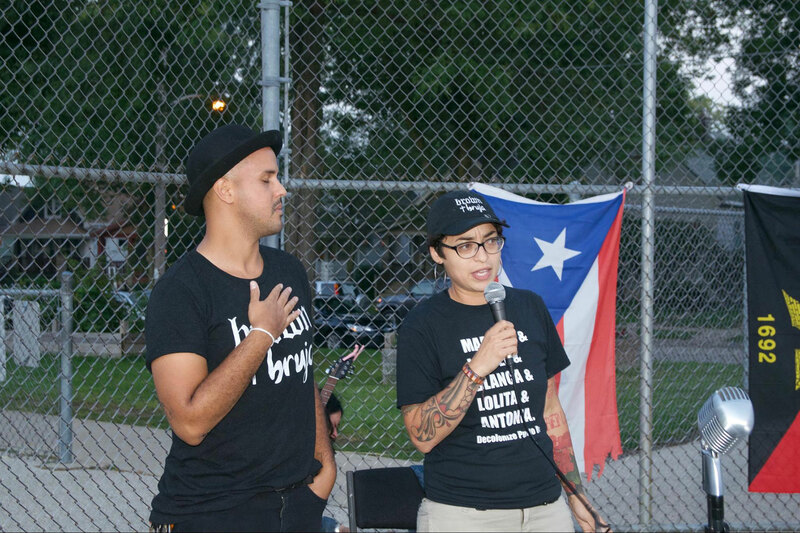 Both holding back tears, the two closing speakers expressed with great emotion the reality of the crisis. 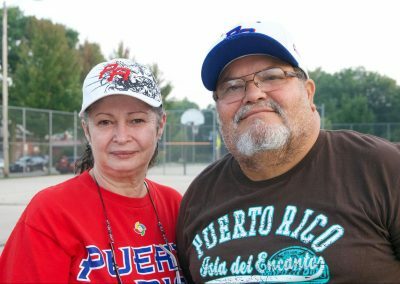 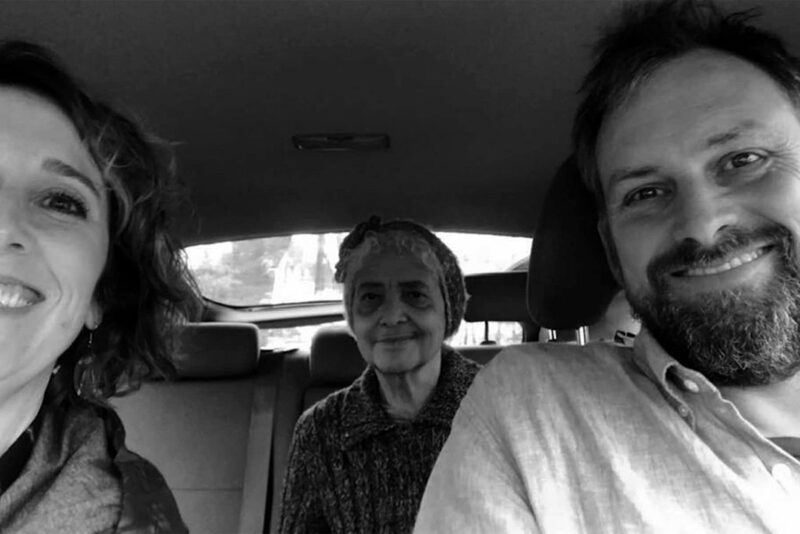 By the light of Ledesma’s phone, Lopez-Blasini’s grandmother, Egla Caraballo, mourned the wife of a friend who died because there was no oxygen for her tank after the power was down for months. 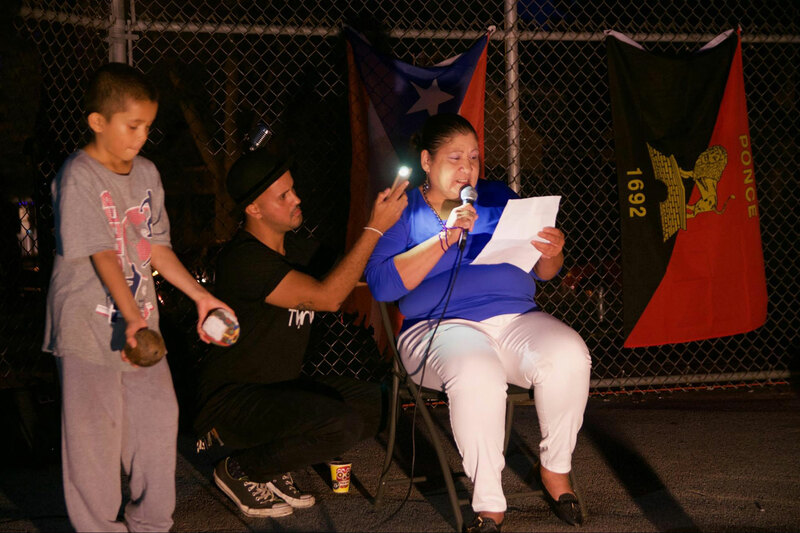 Carmen Torres recited a poem about the historic resiliency of the island’s inhabitants, as far back as the indigenous Taíno. 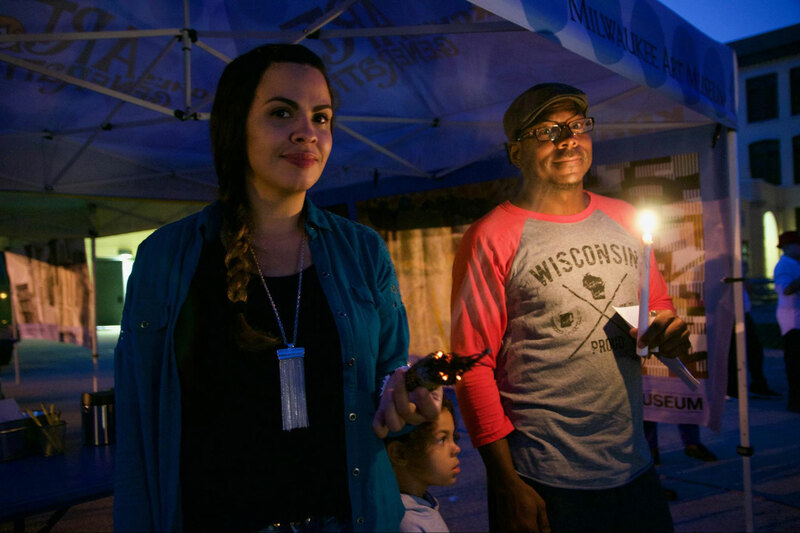 By the time they spoke, the sky had darkened to a deep blue, and the moon, which had just begun waxing gibbous, had appeared. 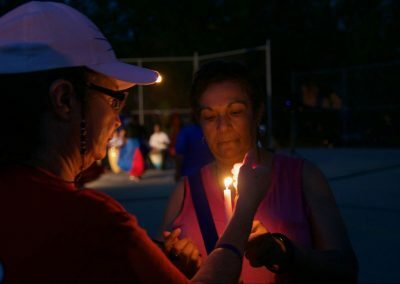 The mosquitos were relentless, but so was the spirit of the organizers and those who had gathered to remember, honor – and act. 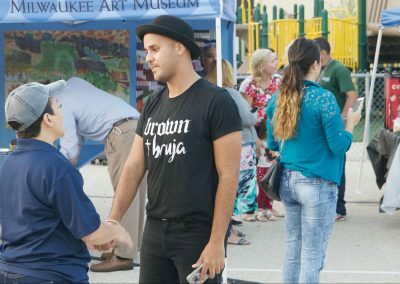 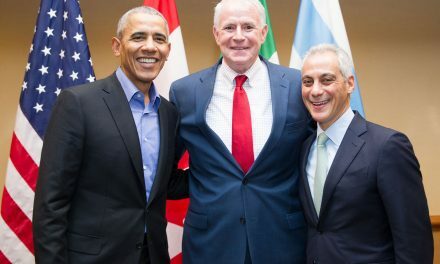 Talking to Ledesma, who was born in San Juan, and Lopez-Blasini, born in Milwaukee, it quickly became clear that they agree on many things, but most of all this: Puerto Rico is much more than its arts and culture, there to serve and entertain, which is what, according to them, the colonial mindset wants people to think. 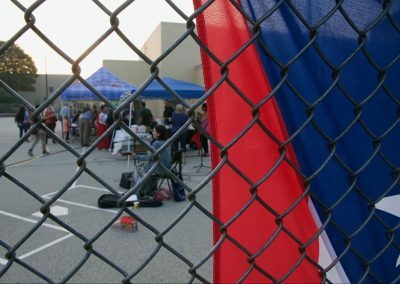 In order for Puerto Rico to rise from this crisis, it will need to rely less on the United States as its hero of economic prosperity (a job title at which the U.S. has already horribly failed). 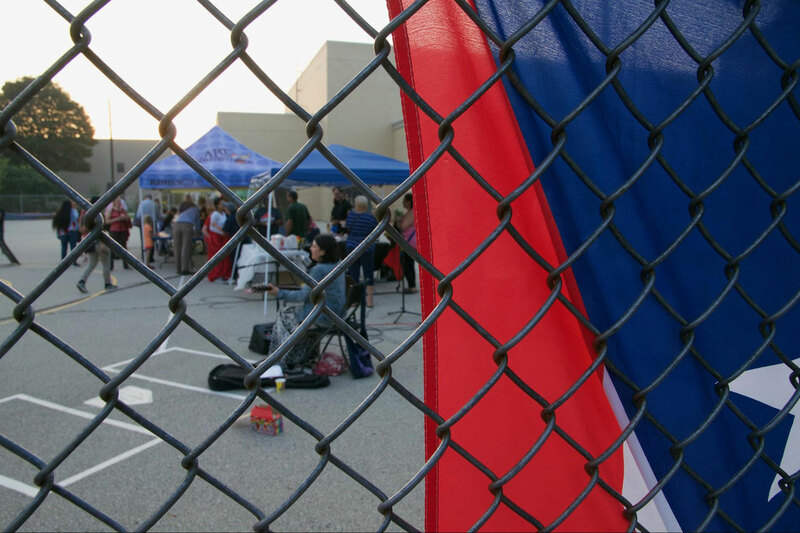 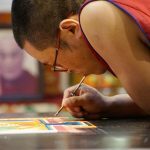 Teaching for over twenty years, Dominic Inouye helps students develop their unique voices. 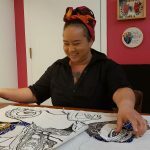 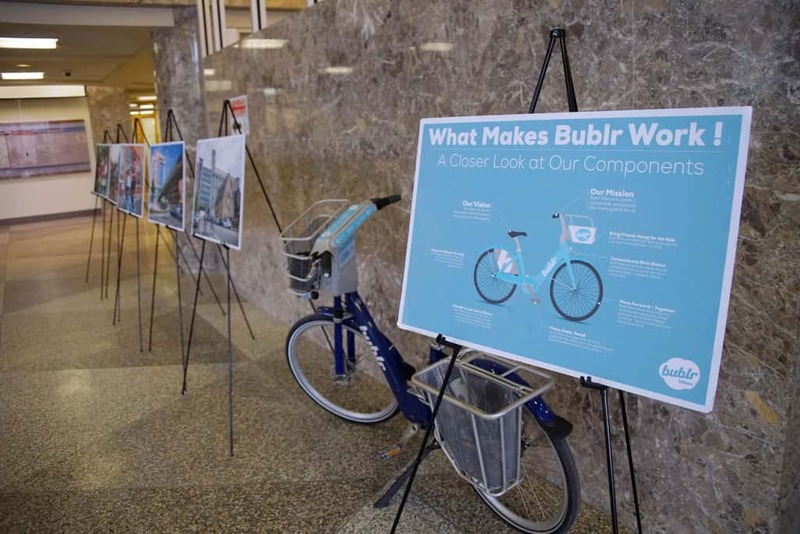 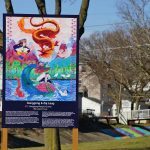 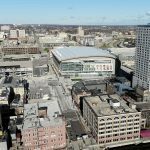 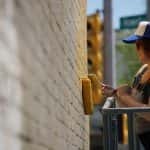 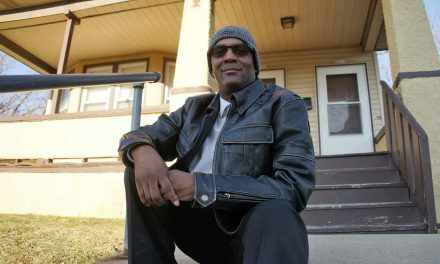 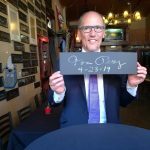 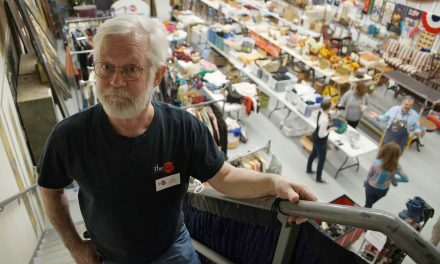 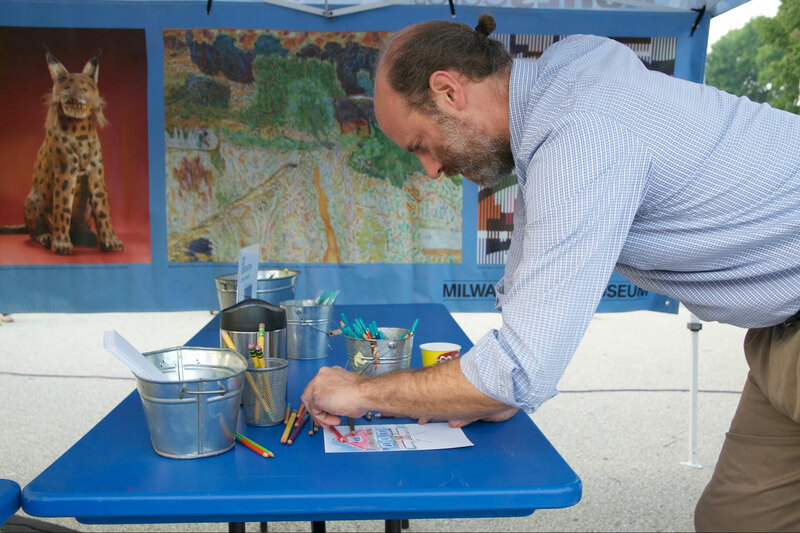 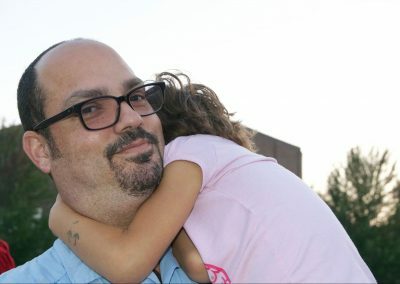 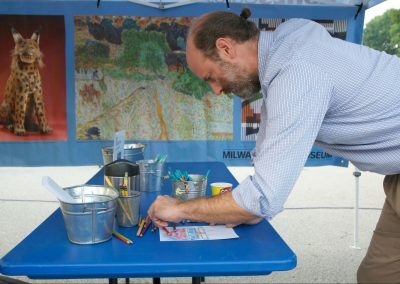 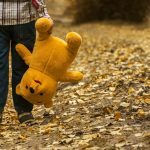 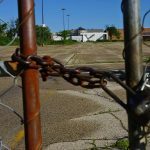 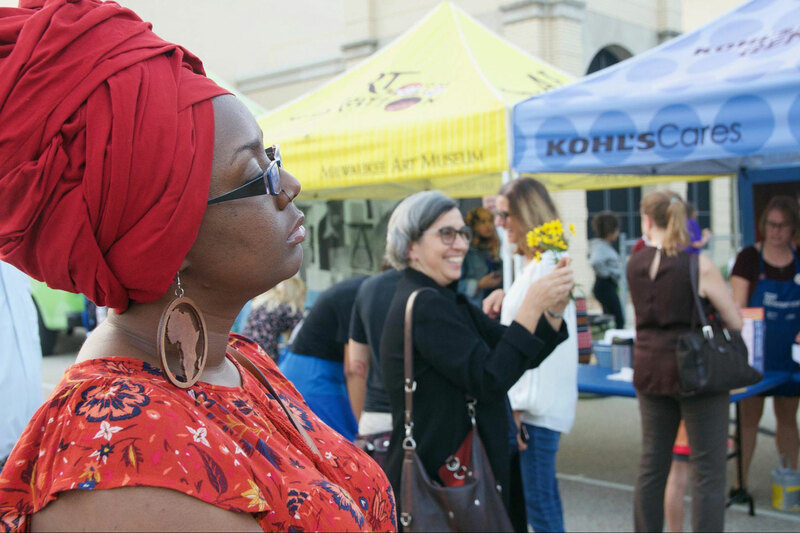 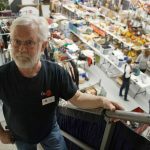 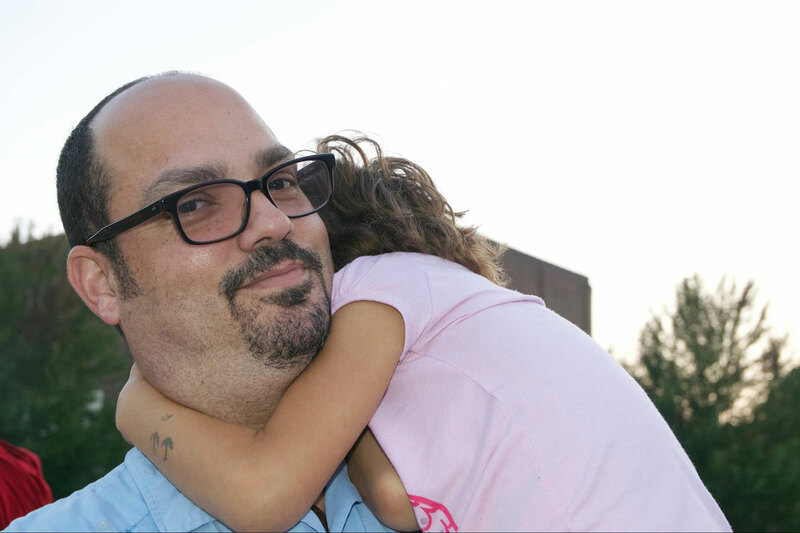 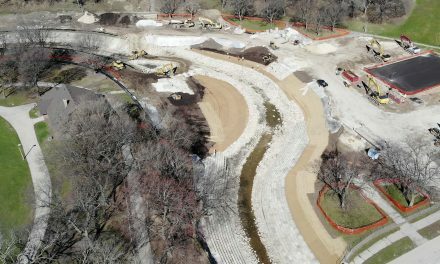 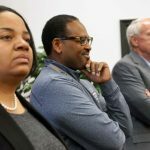 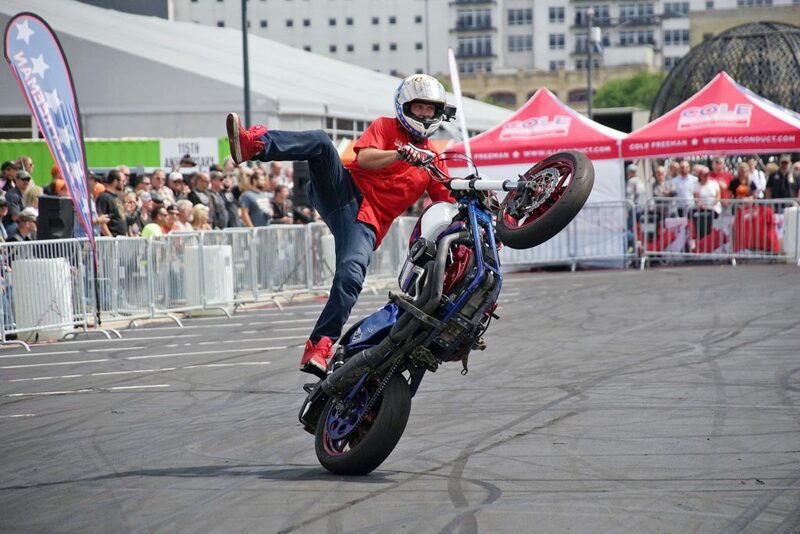 He was appointed as The Pfister Hotel Narrator, is the co-City Organizer of Jane's Walk MKE, and currently manages the ZIP MKE photo project that promotes cultural understanding.